Ah wedding shoe shopping - should be pretty straight forward, right? 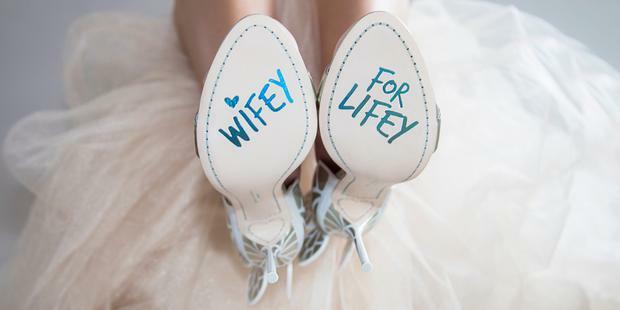 Quite often though, wrong, as suddenly the thought of spending 12 hours in a pair of stilettos with all eyes on you already makes your knees feel weak - and we haven't even talked about the aisle, or the first dance! Choosing a pair of heels for your big day isn't as easy peasy as picking the prettiest of the pairs - there's lots to keep in mind, which is why you need to know where to shop to get started. 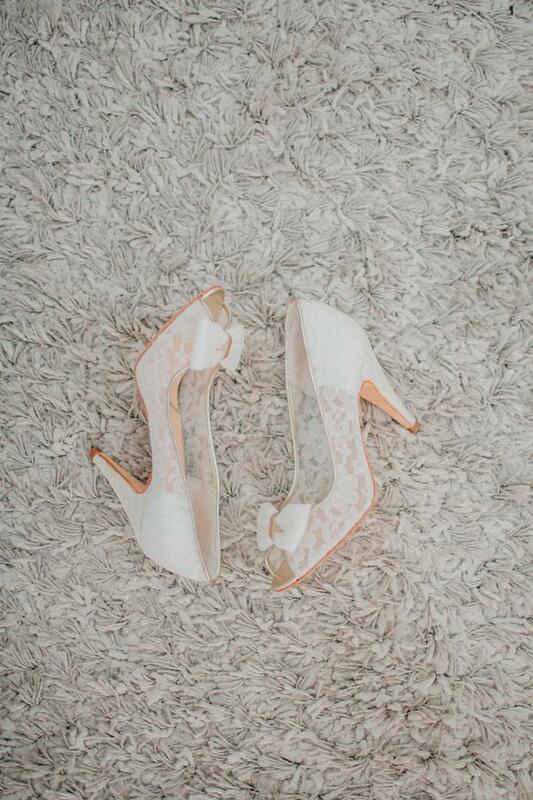 From high street heels to designer sandals and even specialist wedding-specific shoe specialist thrown in for good measure, we've compiled a list of where to shop for wedding shoes in Ireland, so you don't have to! If you're looking for comfort and style, go to the people who know it best - the bridal boutiques. Many Irish wedding boutiques specialise in shoes best suited for the big day - ones that need to be comfortable enough to last all day, and beautiful enough to make you feel like Cinderella. Designers to look out for include Emmy London, Rachel Simpson, Bella Belle, Harriot Wilde and Charlotte Mills, all of whom designer beautifully intricate footwear that are almost pieces of art. Expect to pay more than you would on the Irish high street for a pair of wedding shoes here, but perhaps not as much as for a pair with a more recognisable name. For Rachel Simpson shoes you're looking around €200 per pair, while a pair of vintage embellished heels by Emmy London could set you back as much as €800. If you're in the market for a lower heel which still feels entirely bridal Paradox London is a great option. Find them in Debenhams. If you're looking for a pair of gorgeous shoes for the big day that won't break the back, get your runners on and hit the old favourites in the city. New Look have a huge range of footwear in every form from flats to pumps to heels, sandals and boots and you're sure to find something to suit for under €50. Keep your eye in Penneys, where the perfect pair could pop up at any time and you're sure to bag them at a bargain. 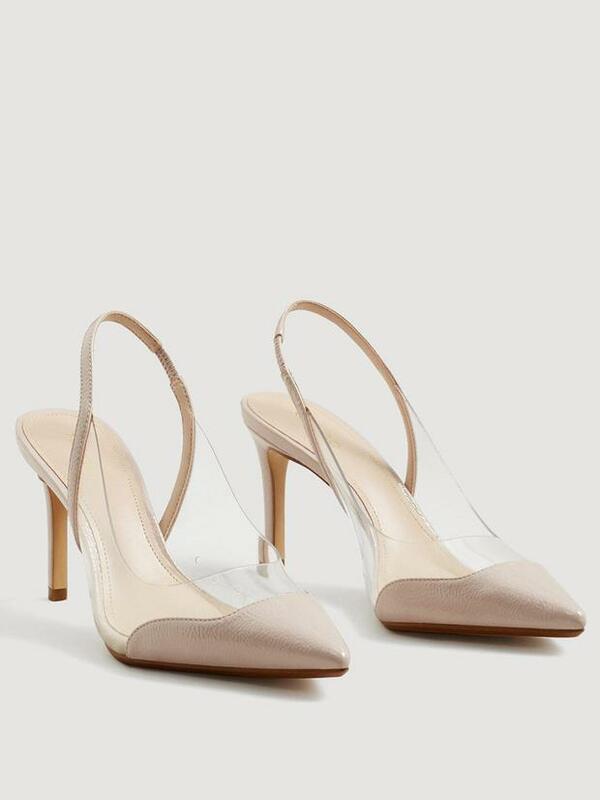 For something different, Topshop and River Island are always worth a look, while Zara have been introducing some very wedding friendly footwear into their collections recently and are well worth a look. At the higher end of the budget, check out Karen Millen, Coast, Ted Baker, Dune, Quiz and Aldo. Second hand stores such as Oxfam and Barnardos often get brand new fresh shoes from designers to sell on, while you could also pick up a 'second-hand' pair of heels that have never been worn. Elsewhere, designer consignment stores such as Siopaella are worth a look as their stock is always of high quality.